This installation consisted of a low fence and a video of "Swan Lake" projected on the floor where the Appliances roamed. 15 feet above the installation hung the Clown Head from the "Drive Thru GA" installation. 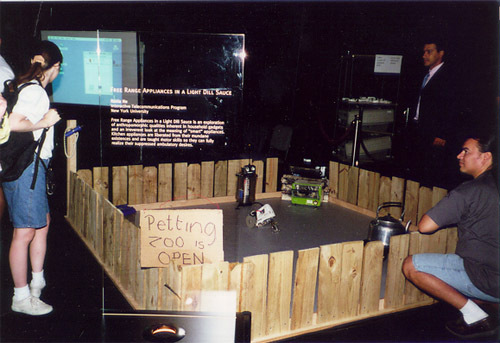 The Clown Head was modified to be an IR transmitter, periodically sending coreography information to the appliances in an attempt to synch up to the "Swan Lake" video. Although the installation was a success, the attempt at choreography was less so.